Happy October! You know what that means…it’s the time of year when spooky creatures come out to play. Don’t believe in vampires, werewolves and all things Halloween? You may after reading this! Imagine creatures that lurk in every room of your home with never-blinking red and green glowing eyes—always hungry, but not for your blood. What could these be? ENERGY VAMPIRES! And they may be sucking your home’s energy RIGHT NOW! Energy vampires are real! 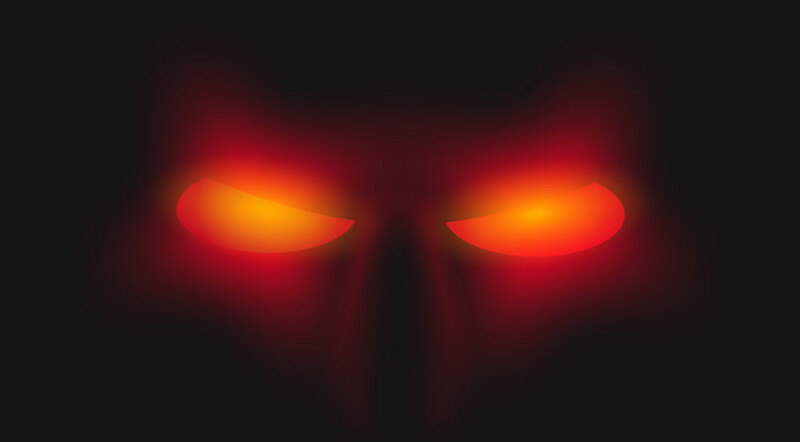 You may be wondering, what exactly are energy vampires? They are electrical devices that use electricity even when you may think they are turned off. Things like appliances and electronics that are typically kept plugged in and are on standby—ready to “turn on” in an instant. Energy vampires typically have remote controls, chargers or clocks. The best way to combat these fearsome vamps is learn how to identify them and use your smarts (and the tips below) to vanquish them. So let’s put your knowledge to the test! Below are eight images of electronics and appliances that consume energy even when they are not being used. Five of these are energy vampires. Can you identify them? Check your answers with the key the bottom of the page. Energy vampires are an unnecessary waste of energy and costs households $100 to $200 a year and America as a whole, nearly $10 billon a year. According to the Department of Energy, unplugging—or putting these devices on a power strip you can turn off—can save up to 10 percent on the average electric bill. Just imagine how much total electricity could be conserved if everyone shut down just a few of these energy vampires! Unplug devices you aren’t frequently using. Use a switchable power strip for clusters of computer or video products so you can switch everything off with one click. Shop for devices that have lower standby settings. Bury these energy vampires all year round by taking the proper precautions. Remember, by doing so this can help lower your monthly energy bill! Visit our home efficiency tips page for more tips to help you save! 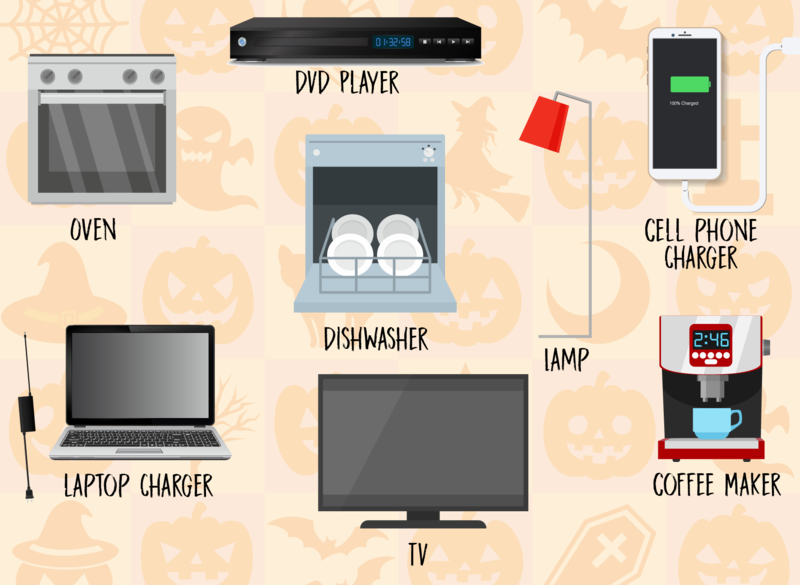 The energy vampires are: Coffee maker, DVD player, cell phone charger, TV & laptop charger.